App Store Near a Million Apps, Over 400K iPad Apps? 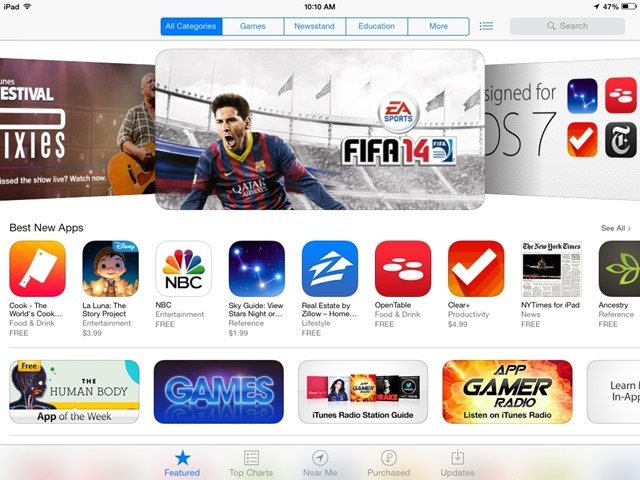 The App Store is heading for another big milestone – one million apps. And apps designed for the iPad now account for more than one third of those available in the App Store, despite the iPad being released nearly two years after the App Store opened. The last announced numbers from Apple, back on their Q3 earnings call, were 900,000 apps total and 375,00 iPad apps. Appsfire.com recently tweeted that the store had hit the 950,000 apps mark – and Appshopper.com shows 953,218 available apps as I type this. One million apps will be a notable milestone for the App Store. 500,000 iPad apps will be a big one for the iPad as well – and I imagine that’s not far off. We should see a new iPads Apple event next month and I’m sure we’ll get plenty of detail on all these big numbers.